Loft Boarding NW came from of all things a property and maintenance company that was established in 2009. Being run by a husband and wife team, Andy & Andrea Greenhalgh, they soon branched out and in 2010, Loft Boarding NW was born. 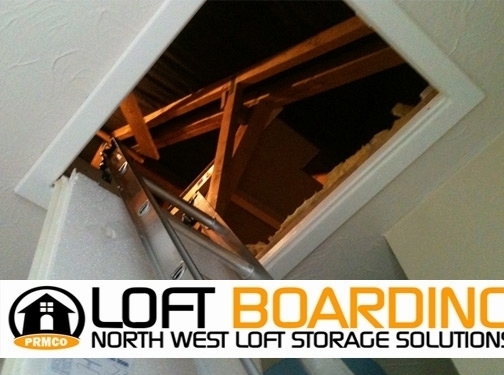 As Loft Boarding NW was dedicated specifically to loft boarding and loft storage, it became very popular very quickly. During the past 4 years the area covered for loft boarding and loft storage requirements has grown considerably in the Northwest and Lancashire area, and now have expanded into the Liverpool & Cheshire and surrounding areas. Loft Boarding NW use only the best quality materials and the installations are always to the highest standards possible. No corners are ever cut. The staff at Loft Boarding NW work hard, and are highly skilled in their field. They are reliable, punctual and trustworthy and pride themselves on those traits. The company is fully insured with £2 million PLI and ELI cover with AXA insurance. Staff training and development is very important to Loft Boarding NW. Each member of the team is fully trained and their training is updated regularly. They also work to all building regulations and comply with the latest health and safety requirements and guidelines. Loft Boarding NW has joined forces a couple of years ago with the manufacturer of one of the main products the company uses in its installations, Loftzone Raised Loft Floor which allow the construction of a raised loft floor above the insualtion level to avoid squashing or removal of the insulation..
UK (Blackburn, Lancashire) based business - established in 2010 - providing loft storage / boarding solutions. Website includes details of services provided, detailed "meet the team" page, associations, work examples, blog, testimonials, terms and conditions, full contact details including VAT number.